Canada followed the lead of about 30 other countries Tuesday and formally recognized Kosovo, a former Serbian province that declared its independence last month. The move prompted the recall of Serbia's ambassador from Ottawa, who is returning to Belgrade temporarily for consultations. 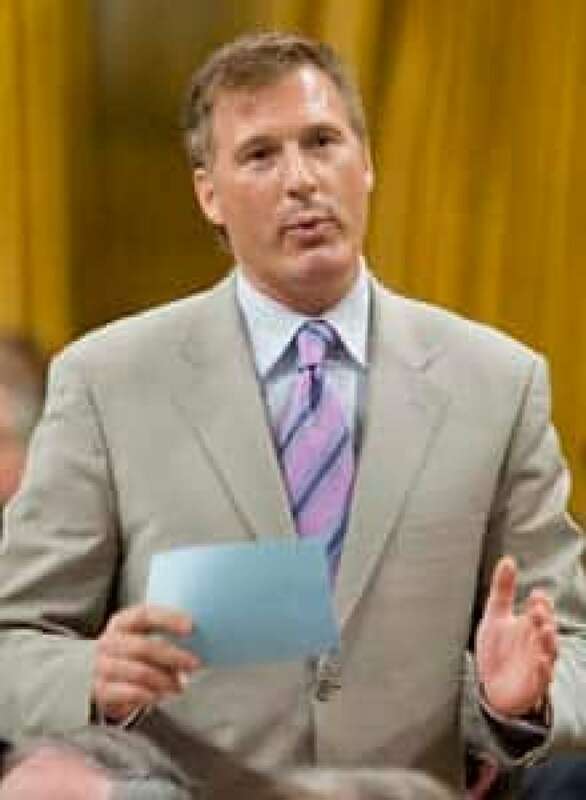 "We know that a significant number of countries, including our G7 partners and many of Canada's close allies, have already recognized Kosovo," Foreign Affairs Minister Maxime Bernier told CBC News. "So what we did today, we joined the international community and recognized Kosovo as a new state." Members of the Parti Québécois in Quebec were quick to applaud the decision to recognize Kosovo's independence. Daniel Turp, the party's international relations critics, said the recognition sets the stage for Ottawa to eventually recognize an independent Quebec, if sovereigntists demonstrate a democratic will to separate. "Canada is recognizing a country, a new country, although the country it was part of disagreed," Turp said. "That is something that is new. We're happy that that has happened." But Bernier said the decision to recognize Kosovo, which declared its independence from Serbia on Feb. 17, does not provide a precedent from which Quebec nationalists could launch a similar bid for sovereignty. Many speculated that Canada stayed silent on the issue in recent weeks because of its implications on a desire by Quebec separatists to secede from the rest of Canada. Bernier said, however, that the two cases cannot be compared. "It's unique because as you know there has been a very brutal war over there in Kosovo, and NATO was there, and the UN was also part of the solution, and now you have a state that is under some UN forces to be sure that all the independence, after the independence is going well," he said. "So for us it's a unique case and as a declaration issued by Kosovo's parliament also makes clear, and this is what's important for us, the unique circumstances which have led to Kosovo's independence mean it does not constitute any kind of precedent," he said. Many countries, including the U.S., recognized Kosovo's independence weeks ago. Bernier said that Canada withheld its acknowledgement until now in order to "assess the situation on the ground." "It's an important decision for a country when you have to recognize another country, and we took our time and now we're ready to do it, and we are doing that today," he said. Dusan Batakovic, Serbia's ambassador to Canada, said he has since been temporarily called back to Belgrade for consultation, a symbolic gesture of displeasure with Canada's announcement. Serbia considers Kosovo's independence declaration illegal. "We are very unhappy because we consider Canada as a friendly country," Batakovic said from Ottawa. "We think Canada might come to regret dearly this decision." He said the decision sets a "dangerous precedent" for sovereignty movements around the world, including Spain, Russia, India, as well as within Canada. "Can you imagine, for instance, if the Quebec parliament declared its unilateral independence the same way the Kosovo parliament did? Would they recognize, in Ottawa, Quebec as an independent country or not?" he asked. Bob Rae, the newly elected Liberal MP for Toronto Centre and the party's foreign affairs critic, said he didn't understand why the government delayed the decision. "As for the argument that there's a parallel with Quebec, I don't buy it," Rae told CBC News on Tuesday following his byelection win in the Toronto Centre riding. Kosovo, which is 90 per cent ethnic Albanian, has not been under Serbian control since NATO launched air strikes in 1999. Nonetheless, Kosovo is viewed as a critical part of Serbian cultural heritage and history, with Serbs representing about 10 per cent of the region's two million people. About 200,000 Serbs live in Canada, according to Batakovic, some of whom launched protests in response to Kosovo's declaration. Dragan Ciric of the Serbian League of Canada said Tuesday's announcement was disappointing for the Serbian community here. "My only thought is that by this decision, Canada just supported one more failed state, and I didn't think that that's a goal of Canadian foreign policy," he said. President of the Albanian Canadian Community Association Agim Hadri said many Albanians, however, will be celebrating Canada's decision, which he hopes will allow Serbians and Albanians to live as peaceful neighbours here. "Canada is very important factor in the world community, especially in peacekeeping, so by recognizing … Kosovo, I feel like Kosovo is recognized by all … of the world," he said.